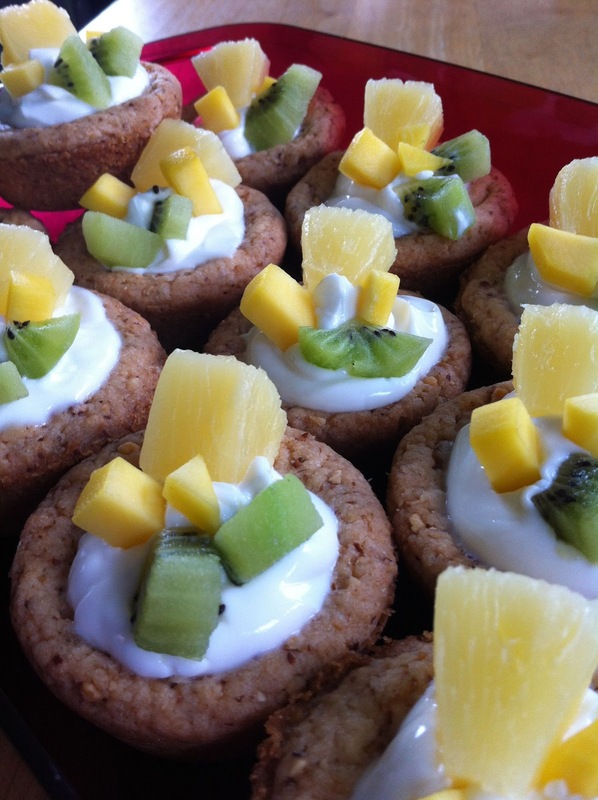 I recently made Fruity Cookie Cups for an event we went too... they turned out GREAT! It is amazing the things you can make with refrigerated cookie dough! Here's the recipe from Pillsbury.com I made it according to the directions with no deviations and would have to say, that I'll be making these again... I'd like to take them to the Friday Family Dinner... as soon as our friend is back on dairy! What you need to do:Heat oven to 350°F. Spray 12 regular-size muffin cups with cooking spray. In medium bowl, break up cookie dough. Stir or knead in almonds. 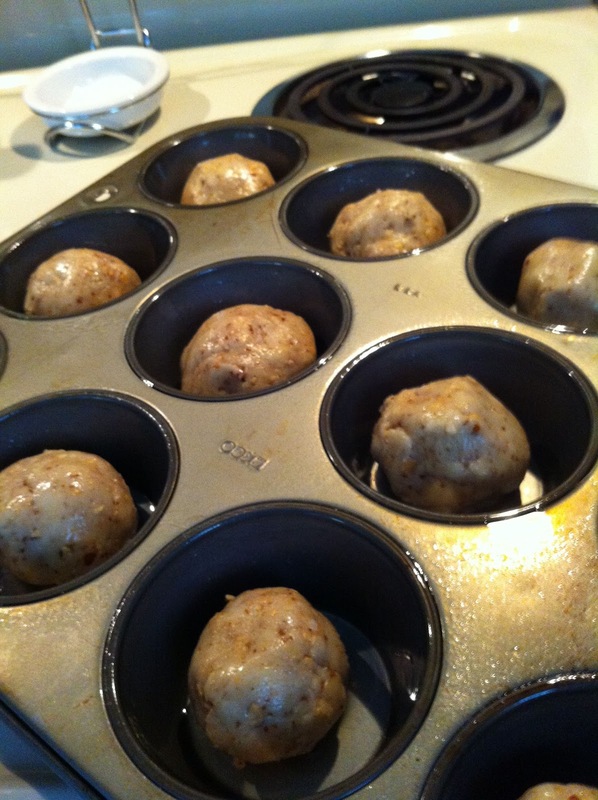 Roll dough into 12 balls. Place in muffin cups. Bake 15 to 20 minutes or until golden brown. Using end of wooden spoon, carefully press into center of each baked cookie to make indentation. Bake 3 to 5 minutes longer or until set. Cool completely, about 30 minutes. Remove cookie cups from pan. 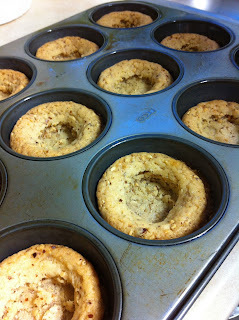 Then spoon about 2 tablespoons yogurt into each cookie cup. Top with fresh fruit. I was really nervous that I had cooked them to long... they seemed to be really hard on the bottom... BUT they turned out perfect! Mike and I are nuts for pineapple... so we made sure to include pineapple on the tops, along with kiwi and mango! Give them a try, I'm sure you will love the too!